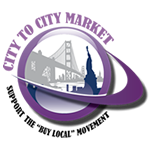 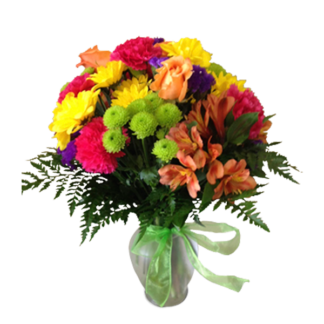 Make someone feel special today with a flower arrangement filled with brilliant colors. The Daisy Bowl is perfect for any types of occasion. 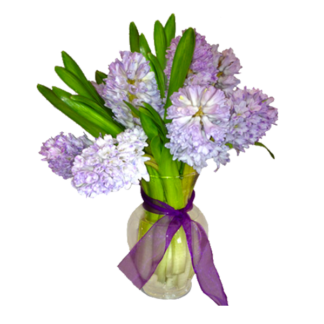 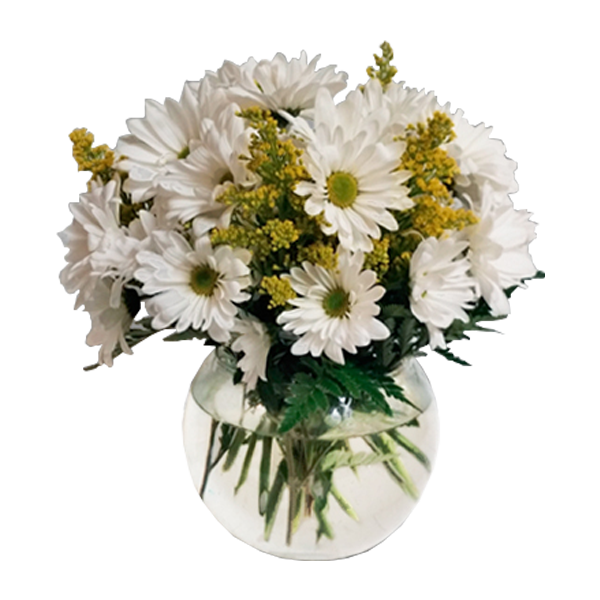 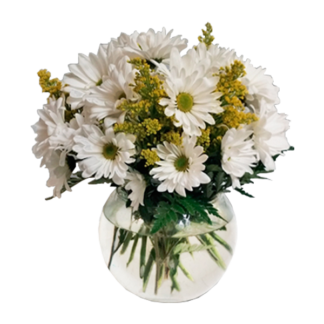 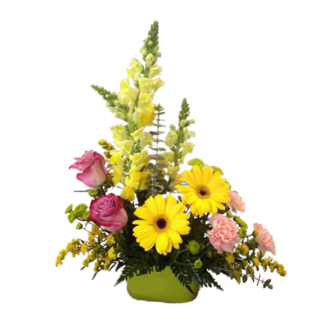 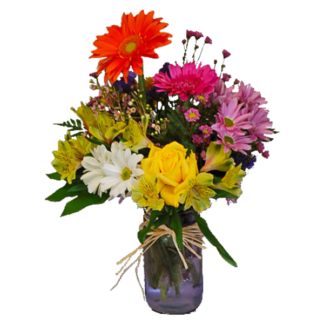 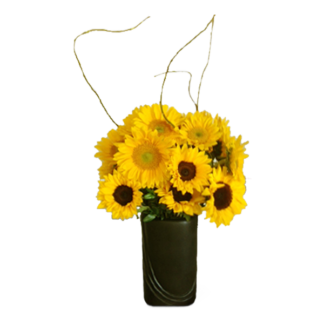 The design is made up of a clear bowl of daisy poms and solid aster to compliment the whole flower arrangement.